Taj Mahal and Fatehpur Sikri entry fees are not included. 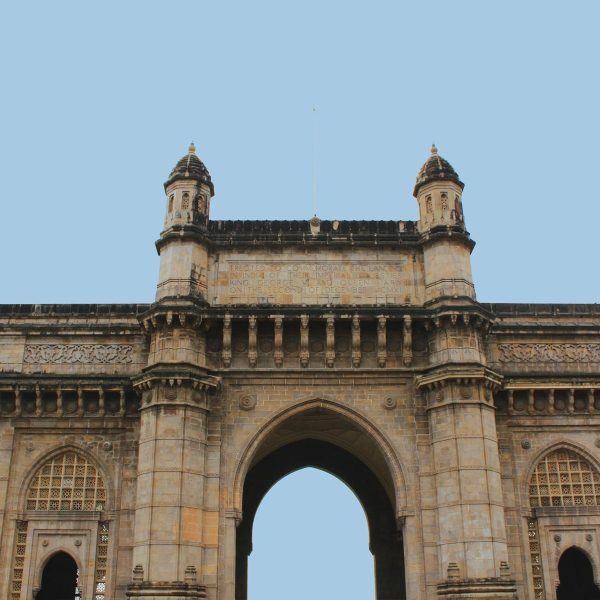 Marvel at the Taj Mahal, enjoy local hospitality and drop in on village life. As one of the 7 Wonders of the Word and a UNESCO World Heritage Site, the Taj Mahal is one must-see monument in India. 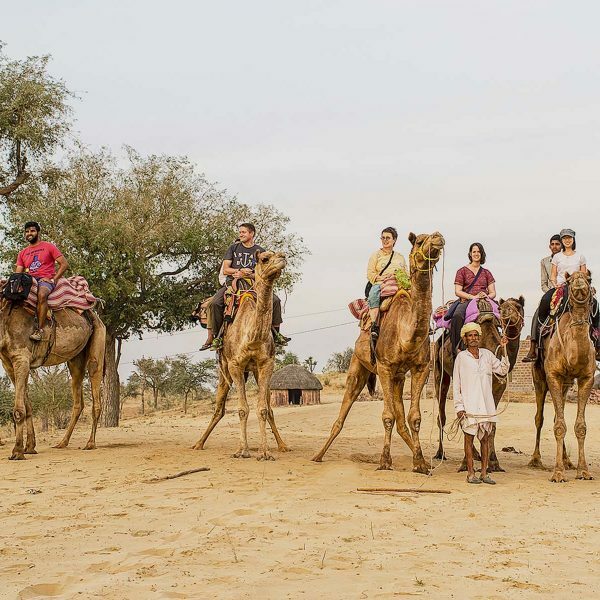 Departing from Delhi, we will stop along the way in a village where we will enjoy some chai with a local family, then arriving in Agra on time for lunch at the accommodation where we will spend the night. With this overnight stay in Agra, you will have the chance to admire the Taj Mahal either at sunset or sunrise. 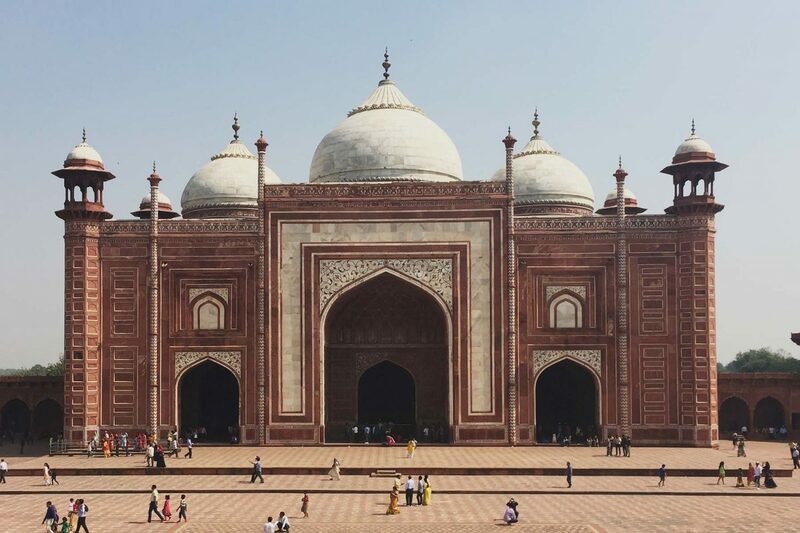 We will take a walk and see the Taj from the Agra Fort and enjoy a romantic view of the beautiful mausoleum. On full moon evenings we will experience the mesmerizing effects of light on white marble, shimmering into the night. 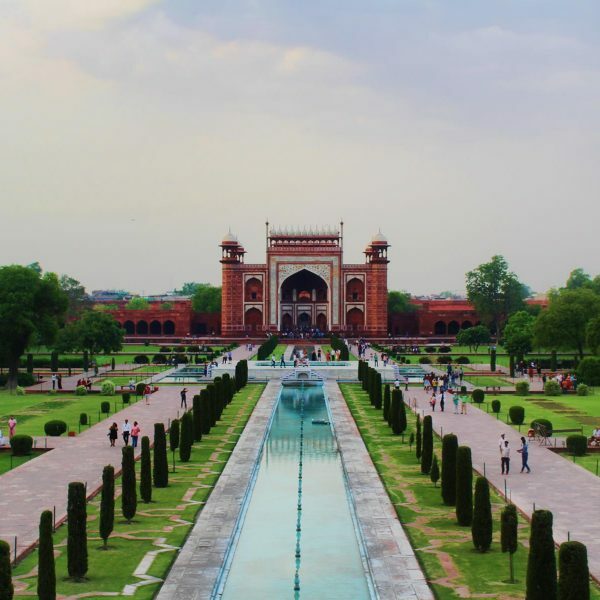 The next morning, we will have the opportunity to visit the Taj Mahal for sunrise or the Agra Fort (depending on your choice) and then make our way to Fatehpur Sikri. Here we will enjoy Mughal architectural splendour within the walled city before leaving for Mathura—the birthplace of Lord Krishna. In Mathura, we will take a boat ride on the Yamuna River and visit various ghats before returning to Delhi. Your friendly guide from Reality will be with you the entire time as we travel from Delhi to Agra, and back again the next day. We leave Delhi in the early morning. On the way to Agra we will stop for a chai at a local village where you will learn about local life. On arrival at Agra we will check in and then have lunch with a local family. In the late afternoon we will take a walk and enjoy the stunning view of the Taj Mahal during sunset from the Agra Fort. We will conclude the first day having dinner. 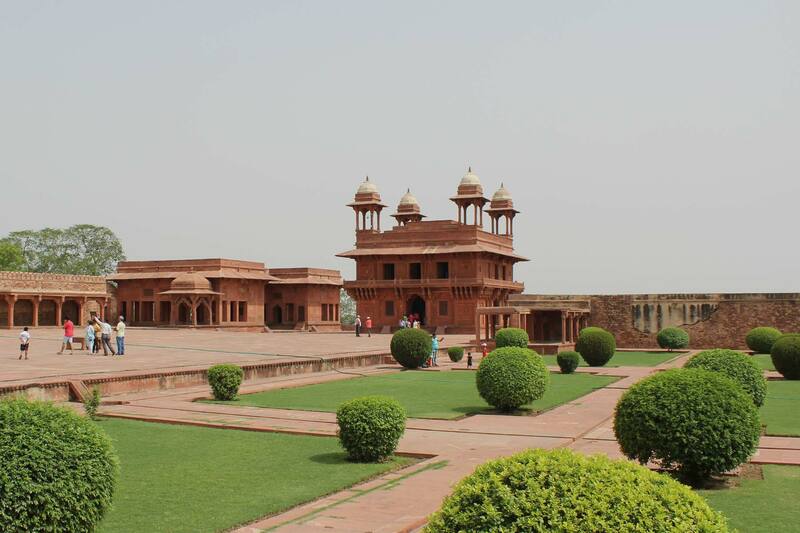 We leave Agra and stop at Faterpur Sikri on the way to Mathura. 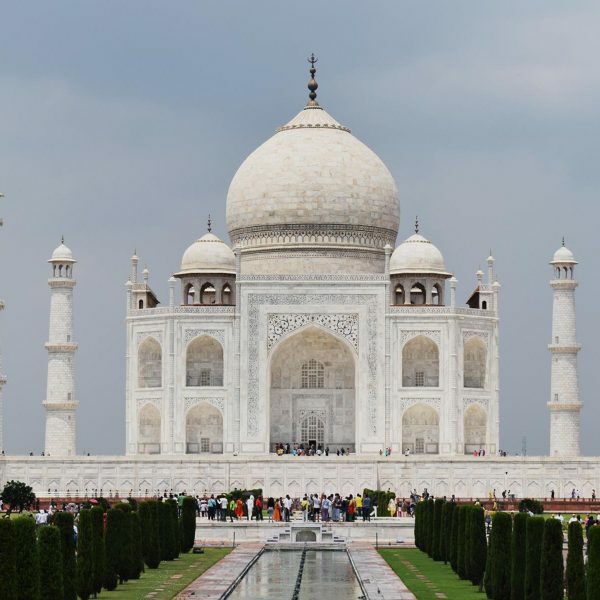 If you wish to see the Taj Mahal also at sunrise, we can arrange this on the second day of the tour, before we set off for Fatherpur Sikri, one of the World Heritage Sites by the Unesco. We will then travel to Mathura, the birthplace of Lord Krishna, where we will first enjoy a family lunch followed by a boat trip along the river. We will see the many ghats and witness the spiritual part of the town. At the end of the day we will make our way back to Delhi, where the tour will end. Experience staying with a local family, eat some tasty home cooked food and spend some time with the local community. The fort is a mixture of Mughal and Persian architecture and it’s one of the World Heritage Sites by the Unesco. It consists of palaces, halls and mosques (optional). Mathura is one of the holiest cities in India, the birthplace of Lord Krishna. You will enjoy a typical boat ride on the Yamuna River and enjoy the views while passing from one ghat to another. 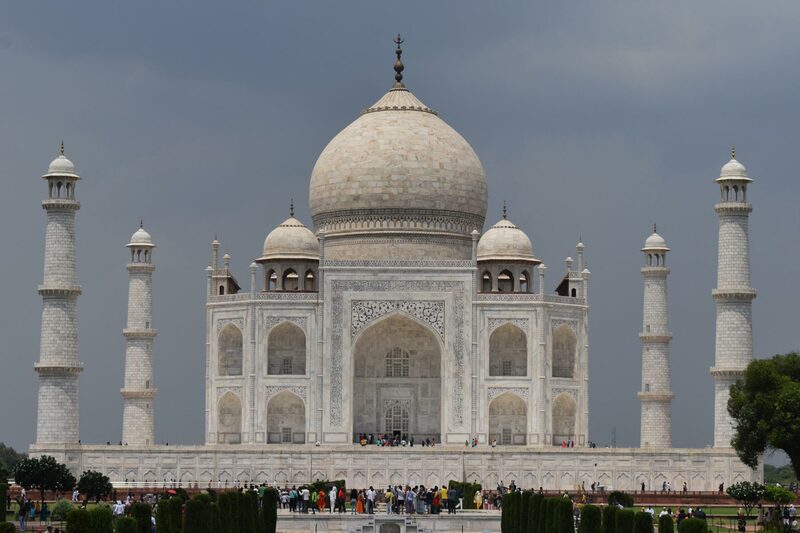 We now offer a Golden Triangle Tour (Delhi, Agra, Jaipur). Please check details on the multi days tour page here.